Historic Structure Assessment — Morphy, Makofsky, Inc. The extent of our evaluation included site investigations and a computer analysis of the existing structure, as informed by the original structural drawings. After completing our review, we completed an assessment of the existing conditions based upon our observations and our evaluation of the analysis. 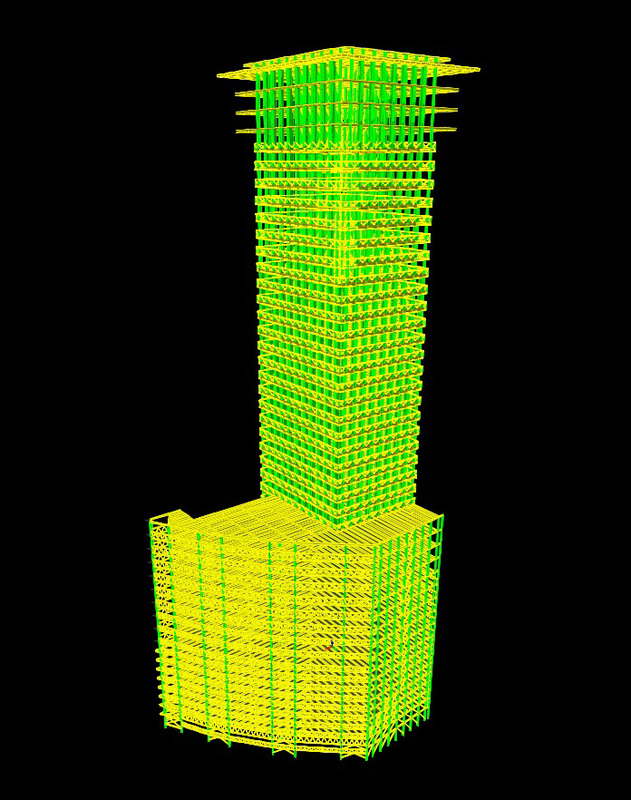 A structural analysis of the 3-dimensional building model was undergone. This analysis reviewed the existing structure, both from a global and a localized standpoint. The global analysis focused on the structure as a whole and its load carrying capabilities under current wind and seismic loads, along with code required gravity loading due to anticipated dead loads and code required live loads. 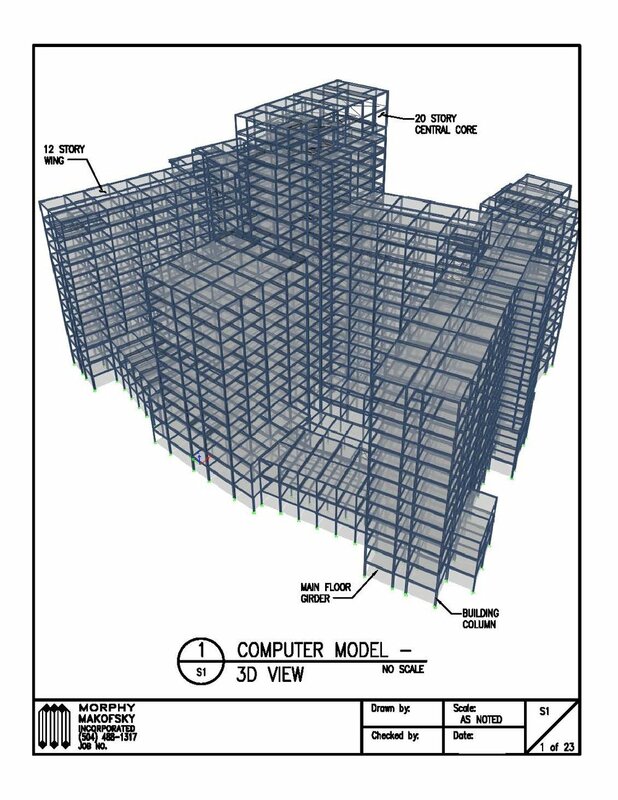 The localized analysis observed these same loading scenarios and the effects that this loading would have on typical bays, given the existing framing in place. In addition to our structural analysis and in order to inform our recommendations, site investigations were undergone. Our primary concern in these investigations was to observe anomalies and deficiencies in the original construction, subsequent structural modifications, and damages which may have occurred during the life of the building. Additional time was spent to observe the condition of the exterior façade and its backup materials. Upon completing our structural analysis and site investigations, time was taken to review the results of these efforts and to review the project as a whole.